Welcome to PARTNERTool Survey and Tool. To respond to a survey invitation, simply enter your username and password below (these were provided in your email invitation). If you are a manager, you can log in with your username and password below. If you would like to register as a new PARTNER user, please click here. PARTNER can help you record, analyse, and track community collaborations. 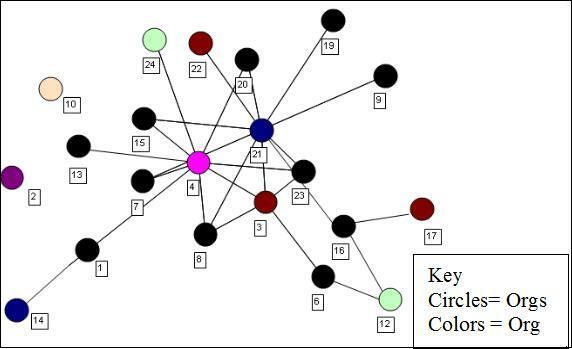 2) Visualizing connections using network graphs. If you have questions regarding how to use partner, contact Danielle Varda.